AAP Construction Makes Chimneys, from Simple to Stylish! Chimneys, chimneys and chimneys – here at AAP Construction we construct beautiful, long lasting chimneys. If you own a chemicals factory, what you need are utilitarian, cylindrical industrial chimneys. AAP Construction has the know-how to make those for you affordably. But if you're renovating your Old Europe cottage, you want a charming quadrangular chimney for your fairy-tale dwelling. In business since 1993 we have the experience to understand these differences. Regardless of whether your focus is on utility or decoration, you can rely on us to satisfy you 100 percent. What we will not compromise on is technical correctness and safety. We will commit to a flue with sufficient width that runs straight We will ensure that creosote buildup is minimal or non-existent. And if you phone us at (973) 298-1013 to look into a problem, we'll take care of it for you. Though reinforced concrete is almost exclusively used these days to make chimneys, they can also be made of brick. Or you can have a layer of colored bricks laid and adhered to the external surface of your chimney. At AAP Construction, we'll go the extra mile to give you both, utility and charm. Designing and building the chimney just right so as to maximize the 'stack effect' to effectively draw and expel smoke and gases is a science that we have perfected since 1993. As for technical details like chimney liners, sit back, assured in the knowledge that we will do a complete job from A to Z. 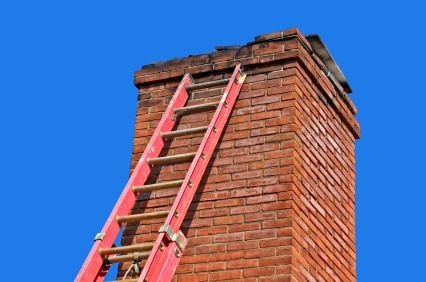 For all your chimney construction needs, phone AAP Construction at (973) 298-1013 for a no-obligation, free quote.